Are You A Local Grand Strand Business Owner? or any other building – you are in need of a business security system! To start any business takes an investment of time and money. We know because we are business owners ourselves. If you have invested your hard-earned money and/or life savings into a new business venture, don’t you want to make sure this investment is protected against all sorts of crime and accidents? Crime Statistics for Myrtle Beach, Horry County and Georgetown County. The local crime statistics aren’t pretty. The Myrtle Beach area is a fast-growing area with many transient families and individuals. We are also a tourist hot-spot; millions of non-residents come to visit our shore and golf courses every year. They not only bring their families and money to spend, they also attract criminals. To learn more about daily Myrtle Beach criminal activity, or any city you live in, check this out. You can also you NeighborhoodScout to check on crime near you. To learn more about why Myrtle Beach was listed on ‘Most Dangerous City’ reports, read this. Learn To Protect Your Investment! When you start a business, there are many things to consider. One of the most frequently dropped but important tasks is getting the right insurance coverage up front and installing a business security system. And of course, always lock your doors! If you own a business, you need a business security system. If you own a business, your responsibility isn’t just for yourself, but also for those you employ. The personal safety of your employees is now in your hands, is now your responsibility. Just this one fact alone should have you pick up the phone and call us immediately. You can not go back and prevent a crime once it has happened. You can not go back and prevent someone from getting hurt once they’ve been hurt. You can not go back and give someone back their life if their life was taken during a robbery. Equipment, buildings, inventory and your fleet can be replaced and if you’ve got the right insurance, without too much hassle. People lives is a whole different matter. 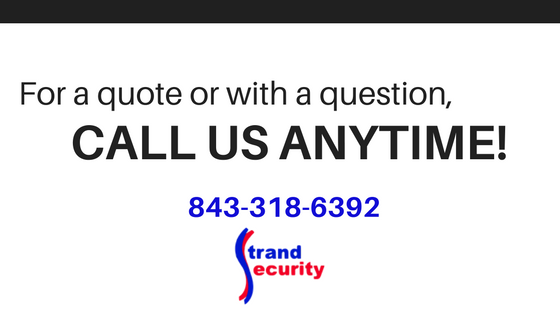 Let’s look at a few reasons to call Strand Security and get a business security system installed by the end of the year! 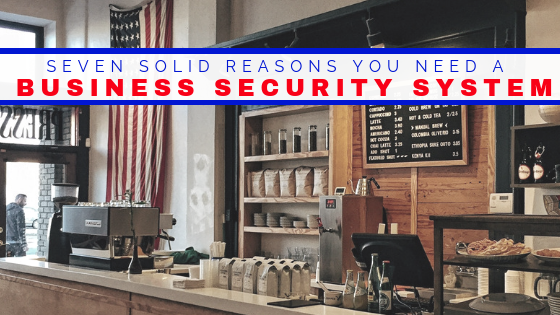 Here are 7 solid reasons to install a business security system! We’d be happy to discuss any of these with you at any time. Let’s get you protection. « Introducing the Honeywell Smart Home Security System!